Do you have a Fuji Instax Mini 7S camera? This is specially designed adapter kit made for Fujifilm Instax Mini 7S Camera. Simply install the lens adapter (LFA-F7S) on your Mini 7S, you will able to pop on your Wide or Tele Lens. Gorgeous idea may come up eventually. 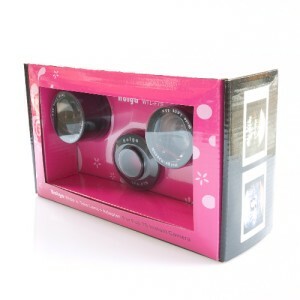 What's more is those lenses can be use on either Holga 120 & 135, K-200NM, Polaroid 300 and Digital Holga Lens as well!